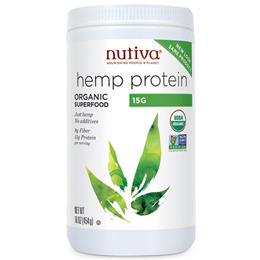 Nutiva`s award-winning Organic Hemp Protein is a protein powder with the highest fibre content. Hemp Protein is ideal for people looking to increase their overall fibre consumption while enjoying the fresh flavour of this nutritious superfood. Nutiva went out looking for the kind of foods that packed a powerful amount of nutrition into every bite, so that you could make small changes to big effect. They found superfoods - nutrient-dense powerhouses that can also be grown and processed in a sustainable way. These are foods that are truly good for you and for the planet. They are organic, full of vital nutrition, easy to use and delicious additions to your diet. Organic, raw hemp protein powder. 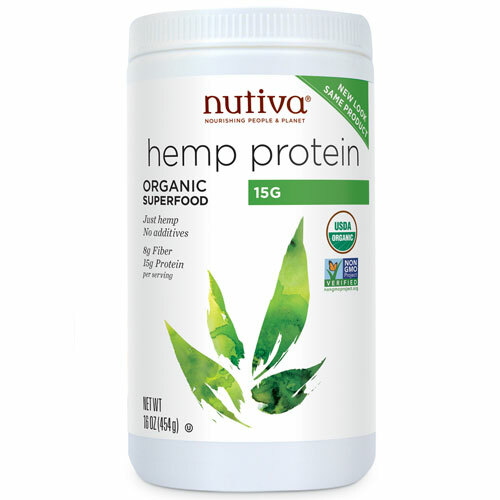 Below are reviews of Nutiva Hemp Protein - Organic Superfood - 454g by bodykind customers. If you have tried this product we'd love to hear what you think so please leave a review.